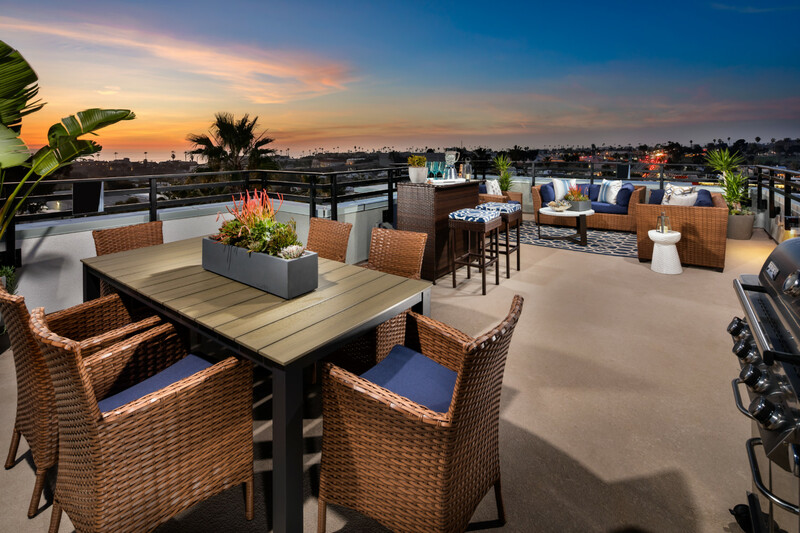 OCEANSIDE — A rare opportunity to live by the beach in North San Diego is attracting homebuyers to tour the beautifully furnished model homes at Vista Del Mar. Homebuyers are very enthusiastic about Plan 1 — exception-ally priced from the low $700,000’s, an unheard price for an ocean-close residence! With 3 bedrooms and 3.5 baths in over 1,700 square feet, the Plan 1 has it all, including an oversized rooftop deck to enjoy fresh coastal breezes and gorgeous views (views vary per plan/per location). Vista Del Mar’s prime address in South Oceanside offers residents and their guests exclusive use of a resort-caliber pool, spa, and outdoor fireplace. Just two blocks from the beach, the neighborhood has convenient and easy access to rail and freeway transportation, walkable Buccaneer Park, and the many hip coffee shops, restaurants and boutiques along South Coast Highway. Oceanside’s historic pier and vibrant harbor are also just minutes to the north. This unique enclave offers four distinct three-level, attached floor plans in approximately 1,712 to 2,559 square feet. The attached townhomes at Vista Del Mar are designed to live life well with three to five bedrooms and 3.5 to 4 baths, and are fully appointed with contemporary features and the latest hand-selected finishes. Sleek gourmet kitchens showcase modern quartz countertops, generous islands, pantries (per plan), and an impressive Bertazzoni stainless steel appliance package including a freestanding slide-in range, quiet-wash dishwasher and microwave oven. The pinnacle of comfort and style, master suites at Vista Del Mar host spacious decks (per plan), large walk-in closets, dual china sinks with chrome Moen faucets and generous showers with fashionable 12” x 24” textured ceramic-tile surrounds. The luxury continues with special touches such as staircases with wood handrails and brushed-steel railings, recessed lighting in select locations, Thermofoil cabinetry with concealed hinges, and luxury vinyl plank and wood-look flooring in the kitchen and main living areas. The expansive secondary bedrooms have ensuite baths (per plan) with low-maintenance solid-surface countertops in secondary baths. The attached two-car garages are pre-wired for future electrical vehicle charging to make modern living a breeze. Advanced home technology complements every residence at Vista Del Mar as all residences include home automation systems with an included iPad Mini and command center wall dock, a video Aiphone at the front door providing two-way voice and video communication, and state-of-the-art home security systems (monitoring not included.) Helping the environment and your budget, the energy-efficiency has also been included. The townhomes at Vista Del Mar include tankless water heaters, indoor air-quality ventilation fans, dual-glazed Low-E windows, high-efficiency central air conditioning, LED and incandescent lighting, environmentally friendly engineered lumber products and prewire for future solar access. Ready to make a move to the coast? Don’t wait! These attractively priced and sophisticated new townhomes are sure to sell out quickly. Grab your flip-flops and visit the Vista Del Mar Sales Center today at 1569 Vista Del Mar Way, #3, in Oceanside (located at the corner of Morse Street and South Coast Highway). 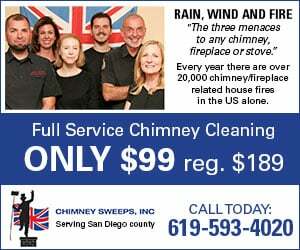 For additional information, please call Sales Counselors Linda Wood or Betsy De Alba at 760-309-3889 or visit vandaele.com. Vista Del Mar is presented by Van Daele Homes, a family-owned homebuilding company that builds for your street, not Wall Street. Van Daele’s experienced team of employees, artisans and consultants takes building quality, handcrafted homes very seriously, and are intimately involved in your home’s design and construction every step of the way. They also offer you a high level of customization and participation in the purchase process so they can help build you a home that works with the way you live, not the way we think you want to live. For more information about Van Daele Homes, please visit vandaele.com.